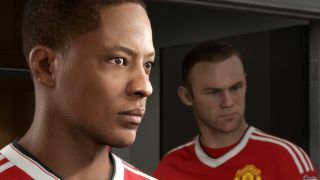 EA’s first crack at a story mode within FIFA provided one of 2016’s happiest surprises. And The Journey hasn’t come to an end just yet, with a conference call in January confirming it’s to return as part of FIFA 18. The next natural step would appear to be creating your own character – but that would relegate the sequel to League Two mediocrity. Aside from the odd piece of HollyEnders-calibre voice acting, the mode worked because you felt invested in Alex Hunter, rather than Johnny Generico. Adetomiwa Edun’s performance drove you through its narrative, making cut-scenes far more fun than actual matches, and giving genuine weight to your conversations with rival Gareth Walker. There are numerous directions to take that character. Perhaps challenging for World Cup honours – all right, third- place medals – in an England strip. Or picking up five years on, with Hunter having failed to fulfil his promise, and looking to rebuild his career in another league or country. The option for repeat playthroughs is essential, given it was lacking the first time around – and one mode feeding into another would significantly upgrade the trait games magazines used to call ‘lastability’. Imagine if, as with FIFA 17, achievements in The Journey triggered rewards in Ultimate Team, but with even more dependence on your success. Say you meet PSG in the French cup final and, if Hunter’s side wins, earn an untradeable 84+ rated player from the French giants to use in FUT: handled correctly, it’d tempt players from that bigger mode back to The Journey throughout the season. If Hunter isn’t to be the main attraction, a supporting role, perhaps as mentor to a new footballing upstart, would still link this year’s campaign with 2016’s events. Imagine a two-player campaign, played online, with options where you start off as team-mates but see choices of clubs, agents, or sponsors affecting whether you stay pals or develop a rivalry. It’d represent complex design challenges, but after a promising first campaign EA can afford to be ambitious. 2016’s Journey was just the beginning.